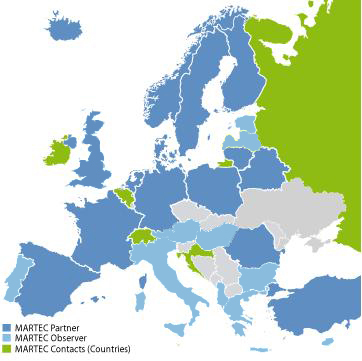 MARTEC II is a network of 30 ministries and funding organisations from 25 countries, responsible for the development and funding of national/regional research programmes on maritime technologies. The following Europe map shows all participating countries. For m﻿ore information please, click in the left navigation or contact us.